Trapeze Artist is the early favourite in The Everest. 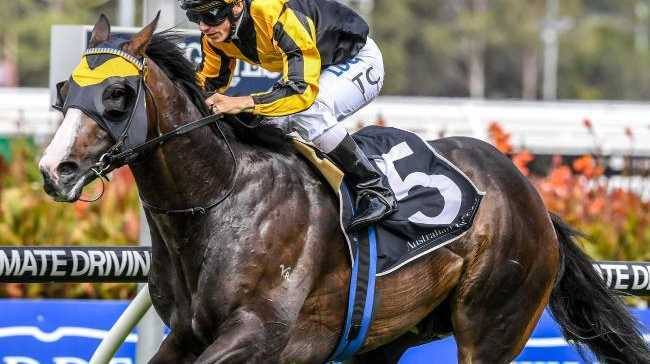 TRAINER Gerald Ryan has weighed into The Everest Group 1 controversy as he outlines plans to prepare his brilliant sprinters, Trapeze Artist and Menari, for the world's richest race on turf. The push by NSW racing officials to have the $13 million The Everest elevated to Group 1 status for its second running at Royal Randwick on October 13 has been vetoed by Victoria but Ryan said the off-track debate won't detract from the quality of the race. "I don't think it really matters,'' he said. "This issue was brought up last year. "Whether The Everest is a Group 1 or not, everyone knows eventually it will be. Ryan already has The Everest's $5 early favourite, Trapeze Artist, safely into the 12-horse field and he is hoping to secure a start for Menari. "I saw Trapeze Artist the other day and he is doing so well in the paddock he will need to come back in soon because he will get too heavy,'' he said. Menari is already back in pre-training and will resume earlier in the spring than Trapeze Artist as Ryan chases an Everest slot. 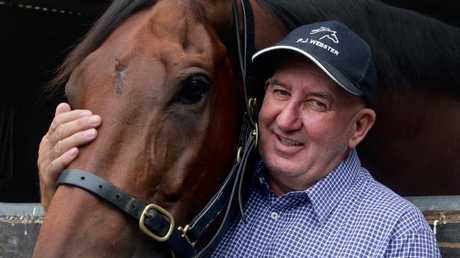 Rival trainer Gary Portelli, who produced another two-year-old winner with first-starter Ronstar at Rosehill Gardens last Saturday, is chasing his Everest dream with She Will Reign. Portelli said She Will Reign, winner of the Golden Slipper last year, would resume training on Monday. Pat Webster is hoping his outstanding galloper, Happy Clapper, isn't forgotten by Everest slot-holders. Happy Clapper has won three Group 1 races this season, including the Epsom-Doncaster Mile double. 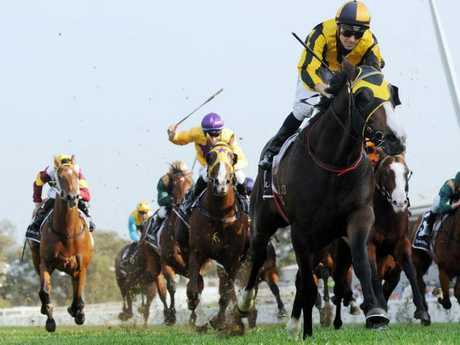 Webster is keen to set the galloper for a first-up Everest assault. But he needs to lock in a slot-holder soon. Webster will need to start working Happy Clapper in the next three weeks and needs to know if he is preparing for an Everest start or a weight-for-age spring campaign. Happy Clapper has a brilliant first-up record and would be competitive in an Everest.